Canon has produced its 50 millionth EOS series SLR camera, and its 70 millionth EF lens. It's been less than 24 hours since Nikon announced it had produced 65 million Nikkor lenses, but ever keen to show one upmanship, Canon has today revealed that it is on course to produce its 70 millionth lens by the end of October. Along with that, the 50 millionth EOS series SLR camera has also been produced. The first EOS camera was produced just 24 years ago in 1987, with the first EOS 650. Two years later, Canon launched its first professional EOS SLR, the EOS 1, while total EOS production reached 10 million units by 1997. By 2003, that number had doubled to 20 million, largely due to the compact EOS 500 released in 2003 and the EOS D30 in 2000. 30 million EOS SLRs had been produced by the 2007 20th anniversary of EOS, with the 40 million point being reached by May 2010. That means that the last one year and four months have been the fastest ever production period in the history of the EOS range, producing 10 million cameras. EF lenses for EOS also made their debut in 1987, and there are now over 60 different lenses in the range. Lens production passed the 10 million mark in 1995 and 20 million in 2001. 60 million units had been produced as recently as January this year, meaning a further 10 million has been produced in the past 9 months. As of yesterday, Canon's major rival, Nikon, had produced 65 million lenses, but it has been producing those since 1959. Today also saw the announcement of Canon's latest professional camera, the Canon EOS 1DX. 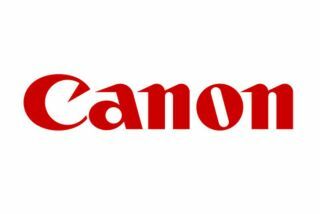 The new camera replaces both the 1Ds Mark IV and 1D Mark III to sit at the top of Canon's pro-range of EOS cameras.